Jailed former opposition leader and current Federal opposition leader Anwar Ibrahim greets supporters after his released from the Cheras Hospital Rehabilitation in Kuala Lumpur on May 16, 2018. 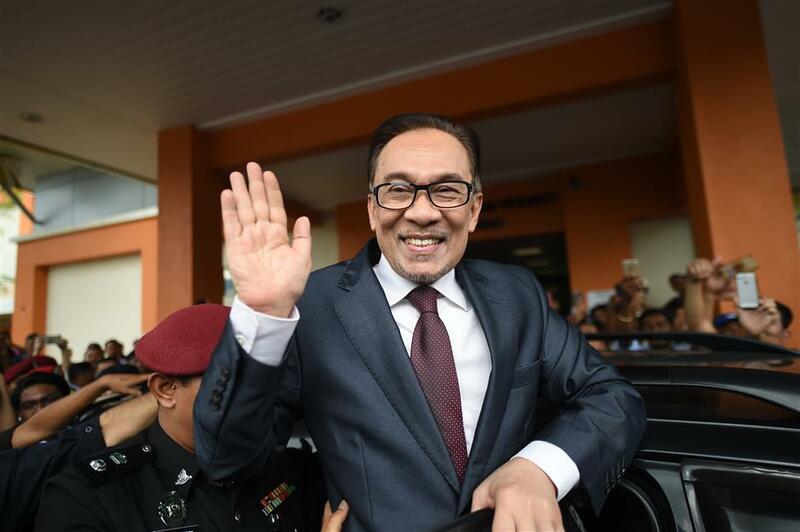 In a statement, the National Palace said Muhammad V, the ceremonial head of state, or the King, has allowed a full pardon and given an immediate release for Anwar. Since 2016, Mahathir and Anwar have joined hand again against the government led by Najib Razak. Their coalition, Pakatan Harapan, won the general election last week.